My first vlog! Oh this is so exciting. It's like Christmas morning, which speaking of Christmas, ice skating season is here! 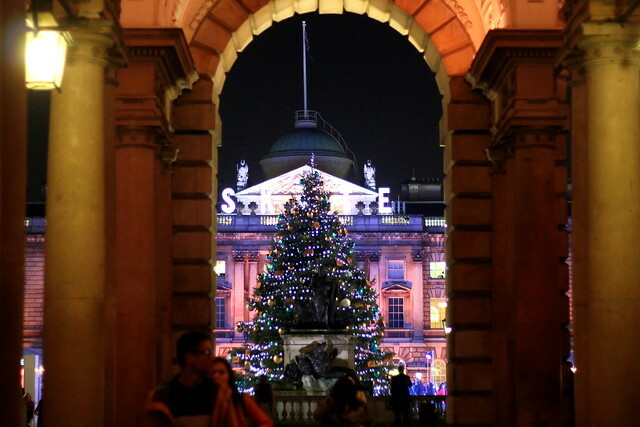 London has some pretty awesome ice skating rinks to offer, but I think it's fair to say the daddy of rinks is still Somerset House. I'd tried to go last year, but it books up pretty darn fast, so when this year I was invited to go skating with Google Local, I did a mini fist pump. So with my partner in crime, Helen, I put one shaky, blade clad foot forward and stepped on the ice to vlog the experience. Spoiler- I can't skate. Click above on the video, and enjoy. Let me know what you think of my vlog, and if you want to me to vlog more. Can't wait till I can watch this tonight when I get home! I'll try and watch the rest tonight but you should definitely try vlogging Laura - I'm going to haha!